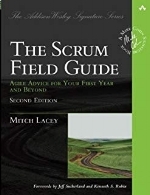 Mitch Lacey's Scrum Field Guide, 2nd Ed. was the prize in the Customery August giveaway. Congratulations to Keith Wallace from Munich, Germany for winning last month's prize. Sign up to the Customer Insiders if you'd like to get advance notice when the next Scrum prize giveaway is announced. Yes, please. Notify me about new courses, podcasts, blog articles and giveaways.